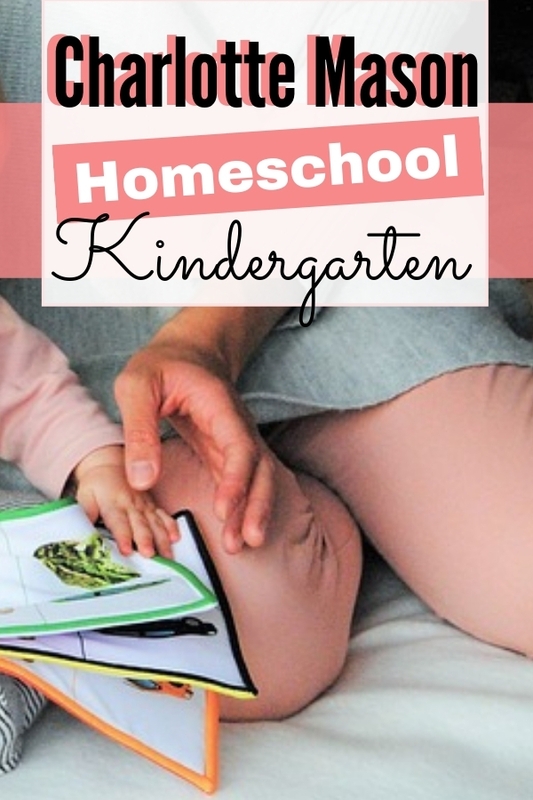 Three years ago I posted our preschool schedule and that was a huge hit so I thought I would follow up this year with our Kindergarten Homeschool Schedule. It’s entirely different from our Preschool Schedule and there are a few major reasons for that. 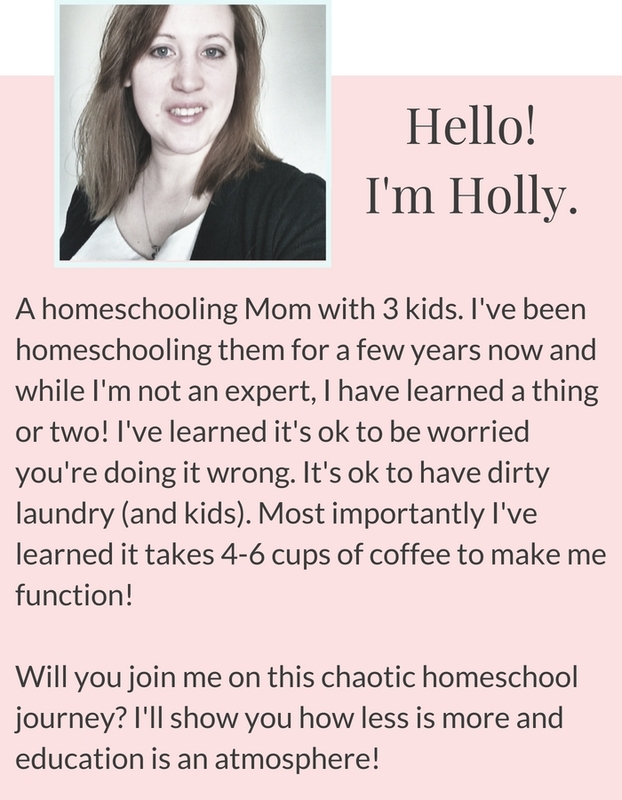 Let me start by getting a few things about our homeschool out of the way! I have 3 kids. I will be teaching 3rd grade next year. I also have two other children who would be in Kindergarten next year. Preschool for them this year is vastly different than my eldest child’s, for the most part, they learn by osmosis. Yes, I said osmosis! 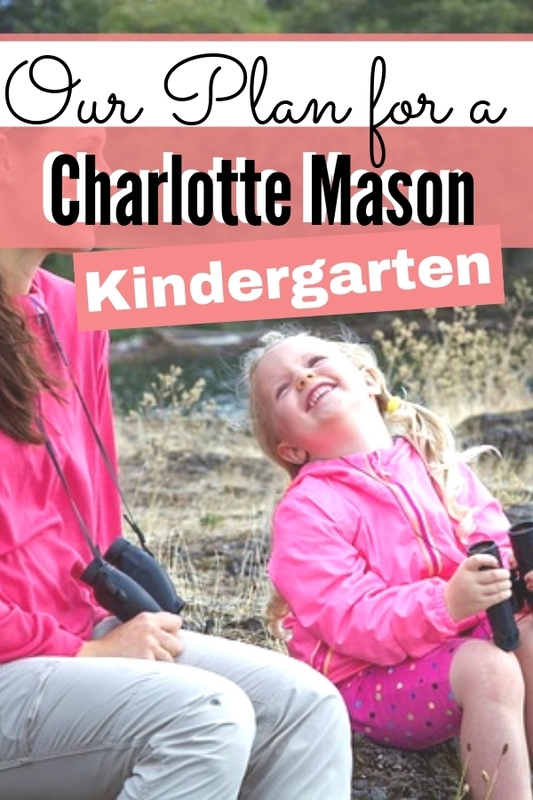 Our homeschool has evolved from VERY eclectic to mostly Charlotte Mason with little touches of Waldorf. I’ve finally realized workbooks don’t really work as well as experiences and a cultivated lifestyle of learning. We do family subjects including science, history and morning basket- which is like a hodgepodge of subjects. If the younger two walk away, I don’t call them back. We homeschool year round. I do 6 terms with 6 weeks on 2 weeks off for a total of 180 days as required by the state of Pennsylvania. We also take a longer break in summer, but not quite as long as our public school friends. Over summer we are doing an astronomy course together as part of our nature study. Just like preschool, they will continue to have access to things like lacing cards, puzzles, crayons and paper, marbles and more. The will get plenty of out of doors time during the summer too. We are usually outdoors all day- even meals. Both my 5 and 4-year-old know letters and phonetic sounds. Miss Red my 5-year-old is beginning to sound out words. She can count to 100. Joey my youngest son can count to 15 or so. We plan to start at around 8 am. We have breakfast and talk about our favorite things from the day before. I like to start their mornings out by giving them a compliment on something they did from the day before. We did this last year and I won’t stop it. I also feel like it is a good narration primer. After we are done with breakfast the kids gather dirty dishes and bring them to the sink. I wash the dishes. I have them get dressed and ready for the day on their own. They are all old enough to get dressed, brush their own hair and teeth. They also have a morning chore to do, so sometimes I get to squeeze in a moment alone with my coffee before school starts. My daughter feeds the dog and cat. My youngest son dusts our living room. After that, we head to our homeschool room. The following is an idea of what our schedule looks like on a typical day but it isn’t set in stone. I won’t list the times either because we follow a rhythm, not a schedule. History (My son is read to from living books and if they choose to stay and listen great, if not it’s not a big deal. Science- we do a hodgepodge of nature study and science so they follow along since I do have them do nature study. We usually study something in nature and learn more about it at home. This includes reading from living picture books or nature lore and sketching in our nature journals from field guides. Right now, for instance, they are studying bees. Math- They have access to math counters and we may count them from time to time but for the most part math is learned through board games and cooking. 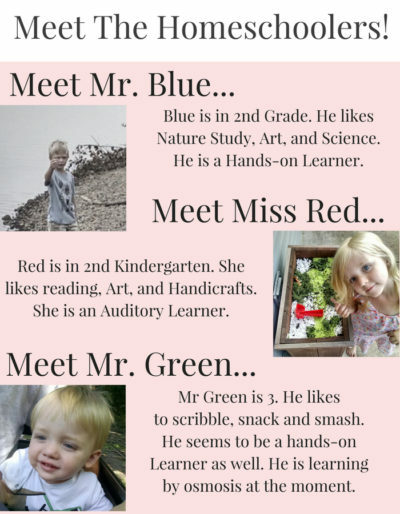 Reading, sometimes Red follows along with this lesson as well. My oldest is a struggling reader and I can tell she can already read a bit. Occasionally she will help him with a word if he is struggling but she doesn’t like to make him feel bad so I notice she won’t read in front of him. Handicrafts, Red likes to dry-brush. She also does finger knitting and creates puppets out of construction paper. Her favorite thing to do is press flower and leaves. Joey likes to play wooden tools and pretends to fix things. I’m just going to let that be for now. Both also help cook. Books- Red listens to audiobooks since she likes to read books far in advance of her reading level. She likes Magic Treehouse books and nature books. We have Audible and a Scribd subscription. Joey doesn’t have the attention span for audiobooks but does enjoy picture books. Out of doors time- from April to October the weather is usually nice enough that I can send them outside for large chunks of time. They go out after my oldest’s lessons end and sometimes before his lessons begin. We also go to a nature park that is on the other side of our town. In summer at least two of our meals will be out of doors as well. They also grow a garden spring, summer and fall. This isn’t precise but give us a good idea of a schedule to stick too. It really helps me to have a good idea of what we are doing when so I can plan ahead. The kids also really enjoy having a rhythm to guide us.